Pricing subject to change without notice. 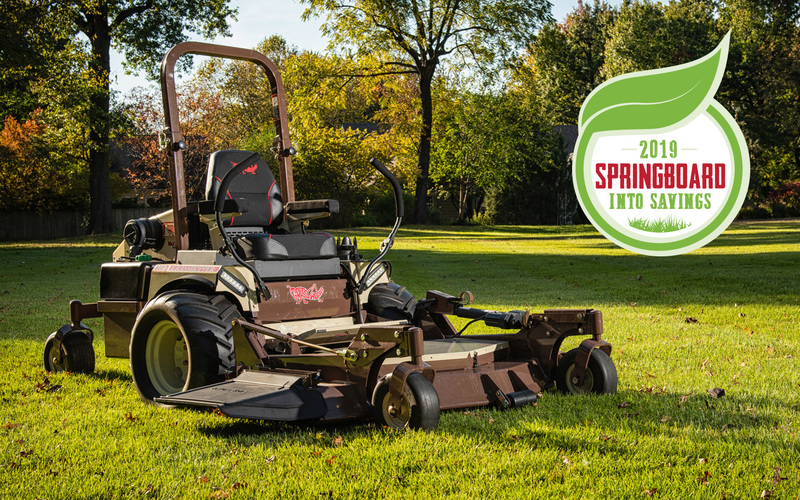 Springboard Into Season offer valid on the purchase of new Grasshopper tractor and deck between February 1, 2019 and ending May 31, 2019. Contact your local dealer for full details. Financing offers with approved credit to qualified buyers. Visit GrasshopperMower.com/Sheffield-financial or contact your local Grasshopper dealer for full details.